Israel reportedly not to ratify Global Compact for Migration at request of US, other allies, despite helping formulate it. Following messages from the United States, Hungary, and Austria, Israel is expected to withdraw from the UN’s Global Compact for Migration after actively participating in its consolidation, Channel 10 News reporter Barak David reported. The Global Compact on Migration is not a binding agreement, but rather calls for increased cooperation between countries around the world on legal and illegal immigration and sets guidelines for immigration. The agreement stresses that the problem of immigration is a global issue and should therefore be addressed at a global level. A number of countries reject the agreement as an infringement on their sovereignty and ability to form their own policy on immigration. Israel has taken an active part in formulating the agreement and Israeli diplomats have participated in all the preparatory meetings of the agreement over the past two years. Professionals at the Foreign Ministry took part in formulating the agreement while the political echelon, including the Prime Minister and Foreign Minister Netanyahu was not involved at all. In July, during his visit to Israel, Hungarian Prime Minister Victor Orban asked Netanyahu that Israel withdraw from the UN’s immigration agreement. Hungary is one of Israel’s most prominent allies in Europe today, and Netanyahu and Oraban have a close relationship. Netanyahu was unfamiliar with the subject at the time and only began receiving updates about the agreement after his meeting with Orban. In September, US President Donald Trump announced in his address to the UN General Assembly that the US was opposed to the Global Compact on Migration and would not participate in the agreement. A few days after Trump’s speech, Netanyahu met in New York with Austrian Chancellor Sebastian Kurtz, whose government also opposes international interference in nations’ immigration policy. Kurtz also asked Netanyahu to withdraw from the international immigration agreement. Following Trump’s speech, the Prime Minister’s Office instructed the Foreign Ministry to turn to the American administration and clarify its position on Israel’s participation in the agreement. 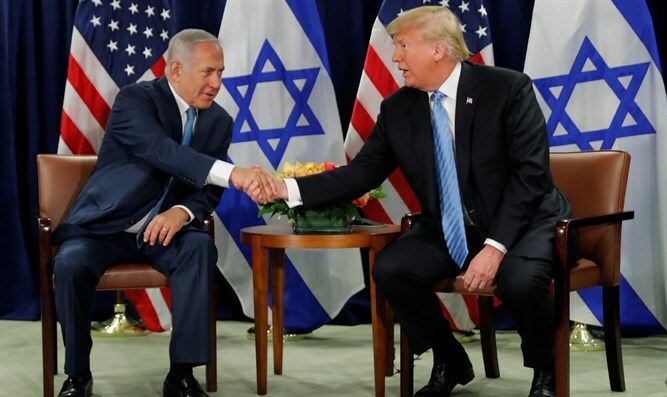 Senior Israeli officials noted that Israel had approached the Trump government on several channels and the message it received was that the United States would be happy if Israel were not part of the international migration agreement. In light of the American position, the Israeli government decided not to ratify the agreement during an international conference will be held in Marrakesh, Morocco.